Going to the grocery store is one of my favorite hobbies… and it’s been hard to ignore the abundance of squash in my local store (TJ’s, that is). So, I decided it’s finally time to mature my taste buds into acquiring a liking for squash. You’ll see I took a stab at modifying a classic Fall recipe by replacing olive oil for butter (always), molasses for sugar (ditch those empty calories), and Greek yogurt to top it off for some protein creaminess. This was my first time baking with molasses and it turned out to be a great substitute for sugar because of its dark, strong, and sweet complex taste. It also happens to serve as the most healthful of all sweeteners, containing the highest amount of vitamins and minerals. And don’t let your hand slip, a little goes a long way! 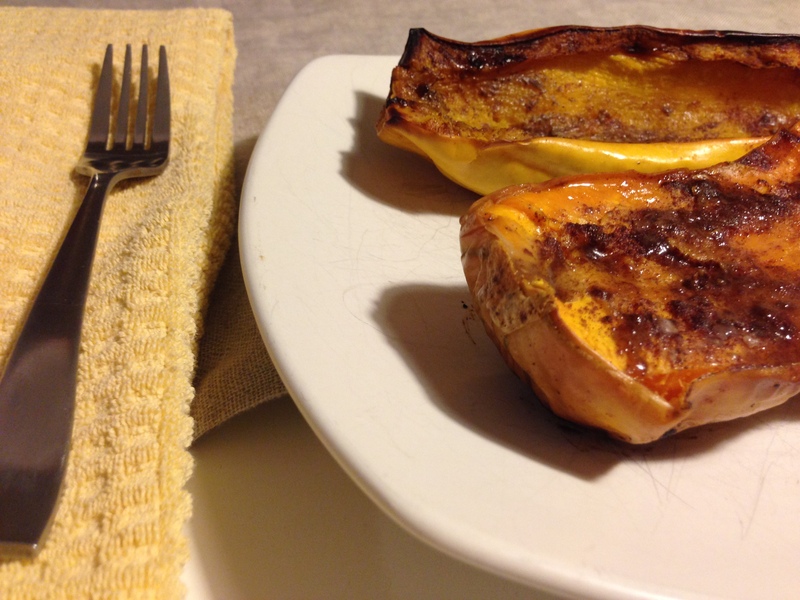 If you don’t have the patience or time for butternut squash to bake, try delicata squash, as it takes less time to cook in the oven due to its thin skin. High in fiber and low in fat, both varieties of squash contain vitamin A and vitamin C, which improve lung and cardiovascular health, helping your body and immune system to fight heart disease. They also contain antioxidants, which help to reduce inflammation helpful with asthma and arthritis, common diseases especially exacerbated during winter months.